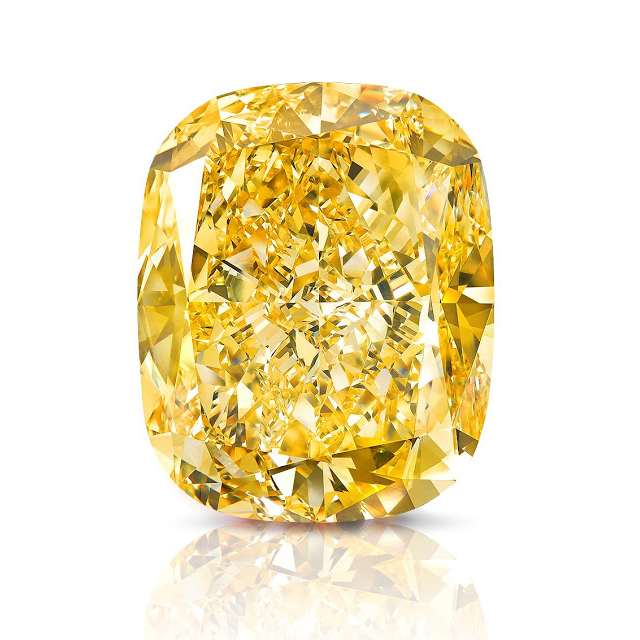 Graff Diamonds unveiled a magnificent 132.55 carats Fancy Intense Yellow Diamond and named it "The Golden Empress". Laurence Graff, the renowned jeweler & founder of Graff Diamonds is reported to have earlier purchased a 299 carats yellow diamond rough which was unearthed from the famous Lethoso mines in Africa. This exceptional yellow diamond has been crafted from that rough along with 8 other yellow diamonds including 6 pear shapes, the largest of which weighs 21.34 carats. 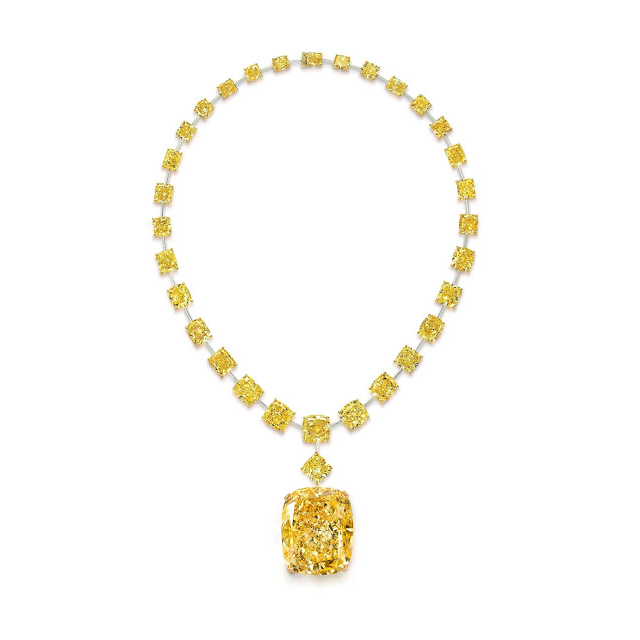 The Golden Empress Yellow Diamond studded in a yellow diamond necklace by Graff Diamonds.